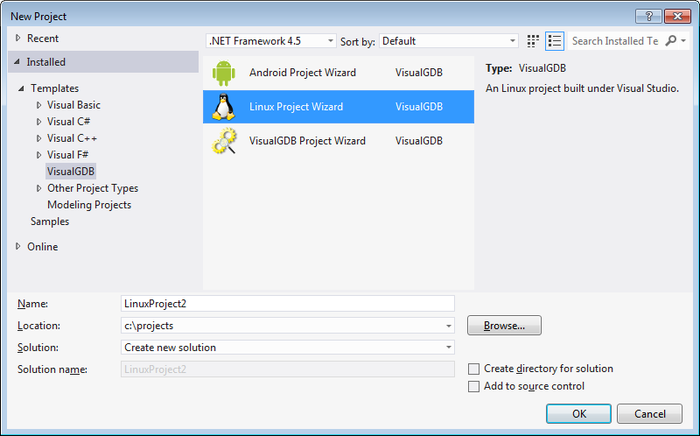 The projects created by VisualGDB wizards work just like other Visual Studio projects. You can build and clean them, you can use IntelliSense, you can debug them and you can edit the VisualGDB-specific properties using the VisualGDB Project Properties dialog. VisualGDB wizard also creates an editable Makefile that can be used to build the project using command-line tools and can be modified to change various build settings.